Before the ketogenic diet rose to mainstream popularity, it was Whole30, Paleo, DASH . . . and the list goes on. Though some trendy diets are significantly safer than others, we also have to consider the risks that come with drastically altering our eating habits – especially when weight loss is the ultimate goal. Let’s discuss intermittent fasting in particular. We’ve seen many success stories from those who’ve followed the diet and covered the benefits of eating within a restricted window, including improved digestion and increased energy. But at what point does intermittent fasting pose a risk for developing a potential eating disorder? We looked to three experts to weigh in on this important matter. Intermittent fasting (IF) involves stopping and resuming food consumption within a specific time window. 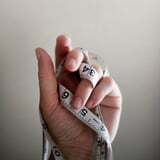 The most popular method is 16:8, or Leangains, which requires fasting for 16 hours and eating two to three meals during an eight-hour feeding window. An example would be to cut off meals at 8 p.m. until noon the following day. People who typically skip breakfast each morning are technically intermittent fasting even if they’re unaware of it. We spoke with Lisa Eberly Mastela, MPH, RD, who said there are ways to fast safely, one of the most “doable” forms being 16:8. But other types of IF include more restrictive schedules, like the eat, stop, eat method that requires fasting for 24 hours at a time. That’s when things start to get tricky . . . When Is Fasting Diagnosed as an Eating Disorder? Mastela emphasized that any form of IF should be done under the supervision of a registered dietitian, and any diet that encourages a restrictive eating schedule really should be approached with caution from the start. Sondra Kronberg, MS, RD, CDN, CEDRD-S, and founder and spokesperson of National Eating Disorders Association (NEDA), said this is where the line is drawn: “The degree to which one’s thoughts and activities and behaviors around food (including clean eating and fasting), weight, body, and exercise take up space inside one’s head and interfere with the quality of life, spontaneity, socialization, and health can be potentially fatal – that is the degree one is suffering for disordered eating or an eating disorder,” she told POPSUGAR. Jennifer Sommer-Dirks, MS, RD, CSSD, and nutrition manager at the Eating Recovery Center in Denver, CO, also added that disordered eating goes beyond food. “Someone who is fasting may also be suffering from an eating disorder if they are also struggling with body-image distress or if they are experiencing stress or anxiety when not able to follow the fast as planned,” Sommer-Dirks told us. Another sign is if he or she is using fasting as a coping mechanism to ease their anxiety, depression, or other life stresses. Can Fasting Trigger an Eating Disorder? 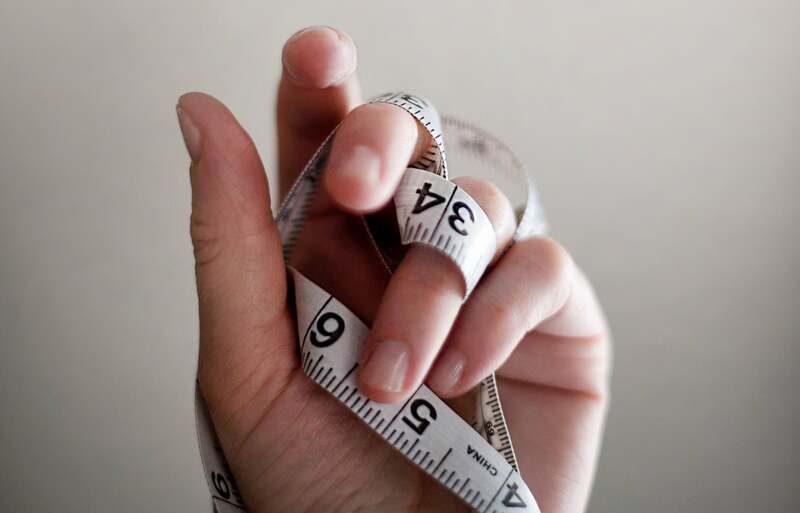 Although most individuals are able to diet without developing an eating disorder, Sommer-Dirks warns that some may be more susceptible than others. For example, those with a genetic predisposition, difficult home life, or other vulnerabilities have shown to be more at risk. “With eating disorders, I sometimes explain it as ‘genetics loads the gun, but the environment pulls the trigger,’ meaning someone has to have that vulnerability in the first place, and if they do, a diet can easily be the thing that pulls the trigger for the eating disorder to emerge,” she said. What Are Signs That Someone Has Gone Too Far? Is Any Form of Fasting Safe? Our experts’ answers varied on this one. Mastela said as long as IF is done correctly (aka under the supervision of an RD), “it can be life-changing in terms of disease prevention, treatment, and vitality.” Additionally, she recommends easing into fasting to allow your body to adjust and working out (particularly strength training) regularly to support your metabolism. But with that said, “It is also easy to mask an eating disorder with the label of intermittent fasting,” Mastela said, again adding the importance of supervision. The general population may be less at risk for developing an eating disorder, but Sommer-Dirks warns anyone recovering from an eating disorder or those with a genetic predisposition against any form of fasting. And even if you don’t fall under either category, it’s still important to think about the reason you want to fast. Sommer-Dirks recommends that people steer clear of the more extreme fasting methods, including those that require fasting for multiple days, to prevent nutrient deficiencies. If you or a loved one are suffering from an eating disorder, call the National Eating Disorders Helpline (800-931-2237) or text the 24/7 Crisis Support (send NEDA to 741741) for resources. If you’re unsure whether you should reach out for professional help, use NEDA’s screening tool to find out.